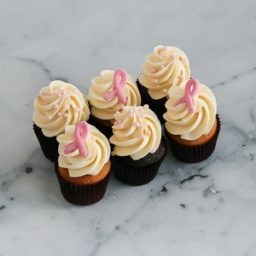 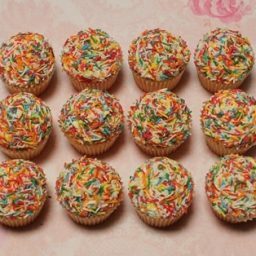 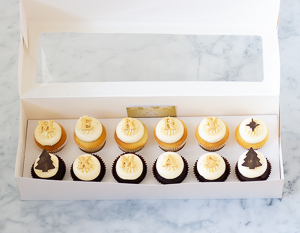 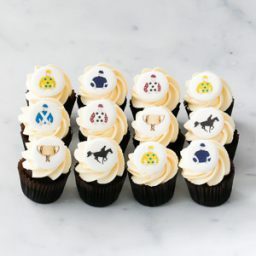 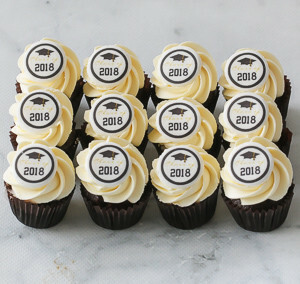 Celebrate the milestone with our Graduation Petite Cupcakes. 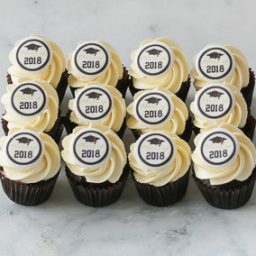 Each cupcake has an edible fondant topper with the Class of 2018 edible fondant logo disc. 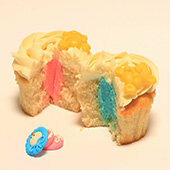 Comes in 6 Vanilla and 6 Chocolate with Vanilla buttercream and edible disc.